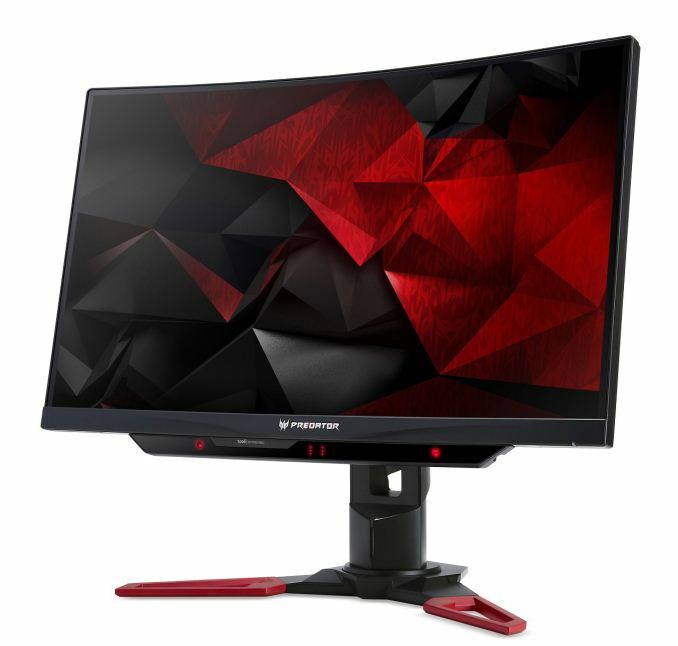 Although we have already reported on the flagship Acer Predator X27 gaming monitor, an interesting model that isn't getting quite as much attention is the Predator Z271UV. By foregoing the X27's more premium features like 4K resolution and HDR, this new model is being positioned as a more wallet-friendly option for the serious gaming crowd. 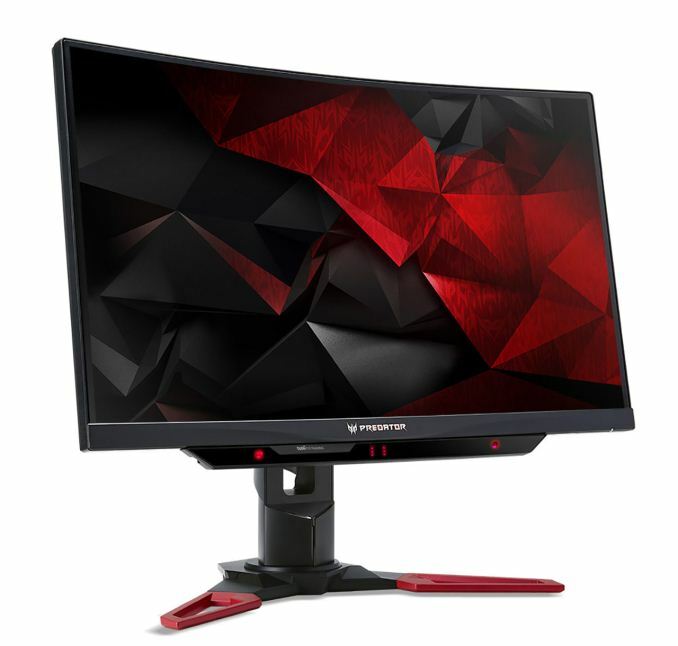 The Predator Z271UV is a 27-inch model with a WQHD resolution of 2560 × 1440 and an 1800R curve that should help provide a wider field of view. It features a TN panel with 400 nits brightness, 1000:1 contrast ratio, and viewing angles of 170°/170°. The 8-bit panel can display 16.7 million colors, and uses a quantum dot film in order to support 130% of the sRGB and 95% of the DCI-P3 color gamuts. The TN panel on this model is rated to a response time as low as 1ms (3ms native), while the refresh rate can be overclocked from the default 144 Hz all the way up to 165 Hz (the fact that the monitor isn't sold as 165 Hz suggests that your mileage may vary). When you combine those figures with the built-in NVIDIA G-Sync or ULMB (Ultra-Low Motion Blur) technologies, this is a gaming monitor that is being promoted as having no problems with motion blur, stuttering or tearing. This Predator Z271UV also includes Tobii eye-tracking hardware, which uses infrared light to track your head movements and where your eyes are looking on the screen. Designed to complement a keyboard and mouse, one of the uses is that you can pan around a digital world without having to use the mouse, kind of like with a virtual reality headset. There are apparently 100 game titles that support eye tracking technology. Further catering to gamers are additions like Predator GameView, which allows users to make precise color and dark level adjustments that can be saved to three different profiles, and which can be easily switched between at any time during gameplay. There are also vendor features like Acer VisionCare with Flickerless, BluelightShield, ComfyView and low dimming technologies that are intended to reduce eye fatigue during extended gaming sessions. 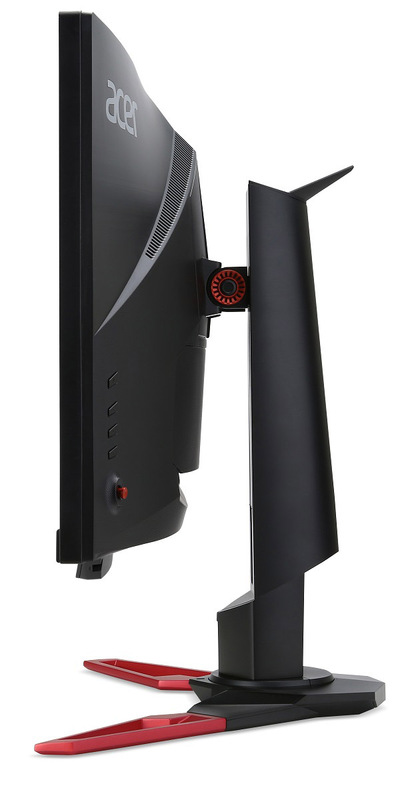 This model also has what Acer describes as a ZeroFrame design, which is a thin bezel that should improve the viewing experience for those planning a multi-monitor setup. The stand was designed with ergonomics in mind, and it can tilt the display between -5 to 25 degrees, swivel +/- 30 degrees, and provide height adjustments of up to 4.7 inches (120mm). There are also two 7-watt speakers with Acer TrueHarmony technology built into the monitor. When it comes to connectivity, the specs are little less clear. There is no indication as to the version of the HDMI input - which would likely indicate HDMI 1.4 - while the only other video connector is a DisplayPort 1.2 input. If this is accurate, only the DisplayPort would support the 165Hz refresh rate at the native resolution. The HDMI port would be limited to 60Hz. There is also a five port USB 3.0 hub (1 up, 4 down) and one audio out jack. The press release did not have any details regarding pricing, availability, or warranty.